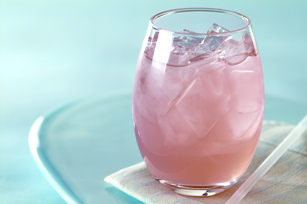 Club soda adds sparkle to this refreshing beverage made with strawberry lemonade flavored drink mix. Add ice cubes. Serve immediately. Substitute seltzer for club soda. Substitute COUNTRY TIME Lemonade Flavor Drink Mix for COUNTRY TIME LEM'N BERRY SIPPERS Drink Mix.